The limit applies across all offerings by all issuers; i.e., if an investor’s annual limit is $2,000, it can’t invest $2,000 with Issuer A and $2,000 with Issuer B (but it could do $1,000 with each). To calculate the figure, compare the investor’s net worth and annual income, each calculated in accordance with the rules for determining accredited investor status. The lower of those two figures is the one used for the calculation. If that lower figure is under $100,000, then the limit is $2,000 or 5% of the figure, whichever is greater. If that lower figure is equal to or greater than $100,000, then the limit is 10% of that figure, subject to a cap for all investors of $100,000 to be invested in these offerings. I believe that those commentators who have reflexively opposed the whole crowdfunding concept, at least for non-accredited investors, do not fully appreciate the impact of this investment limit. 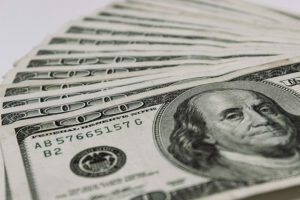 For that significant portion of Americans who fall under the $100,000 threshold for either income or net worth, no more than $2,000 (or a somewhat higher four-figure number) can be invested in all of these offerings per year. While this amount is not insignificant for the non-wealthy, it’s not an amount that will lead to financial ruin. Keep in mind, also, that there are no rules that limit the annual amount that anyone can spend on lottery tickets, gambling or – for an investment example – sketchy public companies. The investment limits contained in the JOBS Act and elaborated on by the SEC, I think, strike the right balance between protecting non-accredited investors while giving them a reasonable opportunity to participate in small business equity markets. 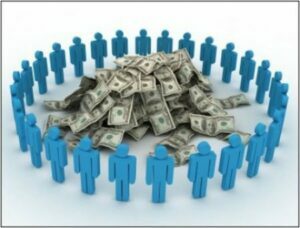 Before the SEC issued final rules recently relating to Title III crowdfunding – offerings of up to $1 million to accredited or non-accredited investors – there was much skepticism among the investment community whether these offerings could be completed in a cost effective manner, given the combination of a low offering limit and significant compliance requirements. The SEC addressed the concern in part by lifting the requirement that offerings over $500,000 be accompanied by audited financial statements, permitting reviewed statements in an issuer’s first crowdfunded offering. Another significant cost associated with these offerings is also how I make my living: legal disclosure requirements. For comparison purposes, I think it would be useful to consider the requirements associated with the most common way to offer securities today in an exempt offering to non-accredited investors: a Rule 506(b) private placement. These offerings require the preparation of a disclosure document, the private placement memorandum (PPM), containing essentially the information required in a prospectus for a public offering. In other words, a lot of information, basically anything that the SEC has ever thought of requiring. Accordingly, a PPM is expensive to prepare. For Title III crowdfunded offerings, the equivalent of the PPM will be a Form C. Although the form will be required to be filed electronically via EDGAR, which has its own associated costs, the form itself requires somewhat less information than a PPM. To take an example, Form C requires the disclosure of holders of 20% of the issuer’s stock, as opposed to the 5% threshold that would be used in a registered offering document and a PPM. Time will tell what becomes common practice for preparation of the Form C offering document, and they may contain more disclosure than is strictly required, but based on an initial read of the rules, it will be a simpler (and therefore cheaper to produce) document. However, unlike issuers that rely on Regulation D, issuers who complete a crowdfunded offering will have an ongoing annual disclosure requirement, essentially an annual Form C with all of the same information, except for offering-related disclosure. This requirement, while significant, is far less onerous than the requirements imposed on public companies (quarterly and periodic filings, proxy statements, etc.). It is difficult to predict whether issuers will find this process to be cost effective, and we will all find out through experience. One factor that may tip the balance in favor of crowdfunding, even with the compliance costs, is that investors will not likely require the onerous terms that sophisticated institutional investors impose on issuers in private offerings – liquidation preferences, anti-dilution provisions, etc. And under the proposed rules, investors could end up with next to nothing even if they invested in the next big thing. Sophisticated investors often negotiate complex terms to ensure that they are amply rewarded for early-stage investments, even if later investors put up more money. The S.E.C. has acknowledged that everyday investors “might not” be able to negotiate the same terms — which include “anti-dilution provisions,” “superior liquidation preferences” and other arcana. But its proposal only requires companies to disclose how early investments may be “limited, diluted or qualified.” It should instead require that shares issued through crowdfunding incorporate the terms that sophisticated investors routinely demand. The SEC has, at long last, issued its proposed rules on crowdfunding as mandated by the JOBS Act. It is a massive, 585-page behemoth. If you’re pressed for time, here is the SEC’s press release with a handy fact sheet. I wrote about the SEC and crowdfunding a few weeks ago, noting the SEC’s apparent hostility to the concept and the paternalistic attitude toward non-accredited investors underlying it. Now we have the proposal, and the SEC has apparently held its nose and essentially proposed the framework as contemplated by the JOBS Act. Nothing is final until the SEC receives comments and issues a final rules release, but it appears that crowdfunding will get its chance to prove the doubters right or wrong.